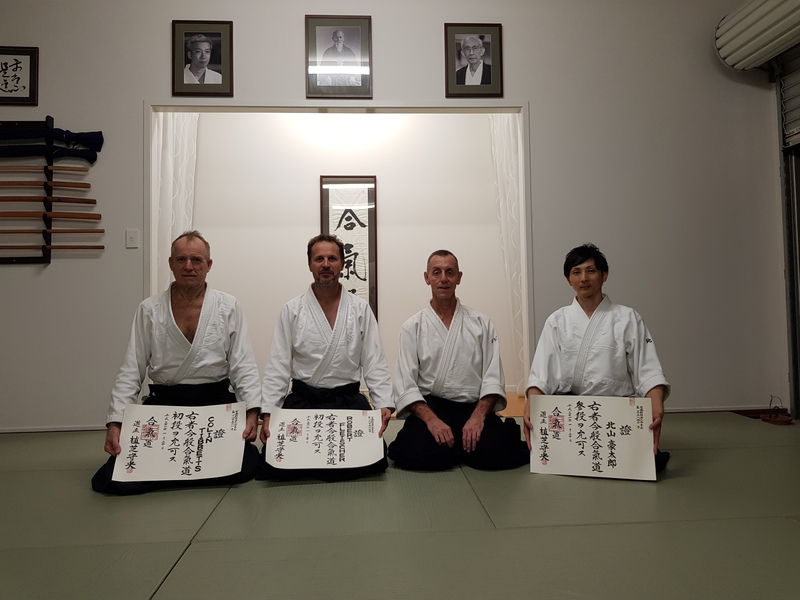 Great to be able to present the boys with their Grading Certificates last Thursday night. 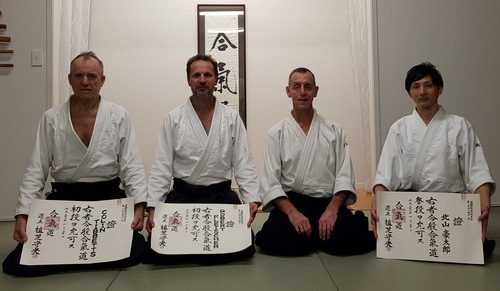 Congratulations once again to Col, Rob and Gotaro. 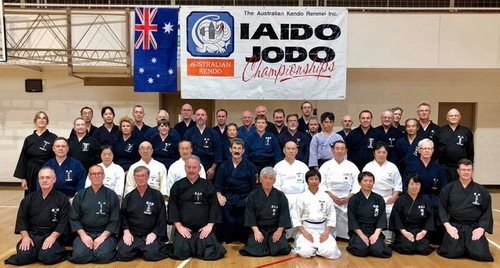 Just had a great couple of days in Hobart for the jodo component of the AKR Iaido Jodo Seminar. 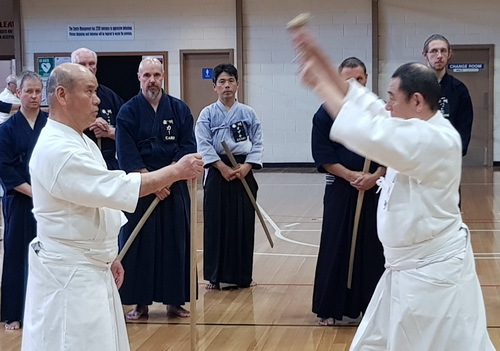 Fantastic level of instruction with the delegation led by Shiiya Sensei. 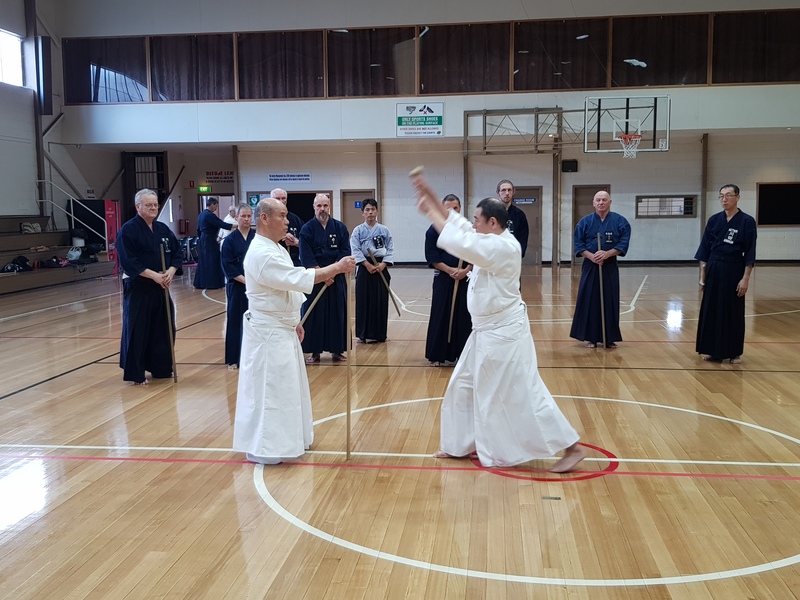 Here’s a shot of the group and also one of Shiiya and Tsubaki Sensei in action. 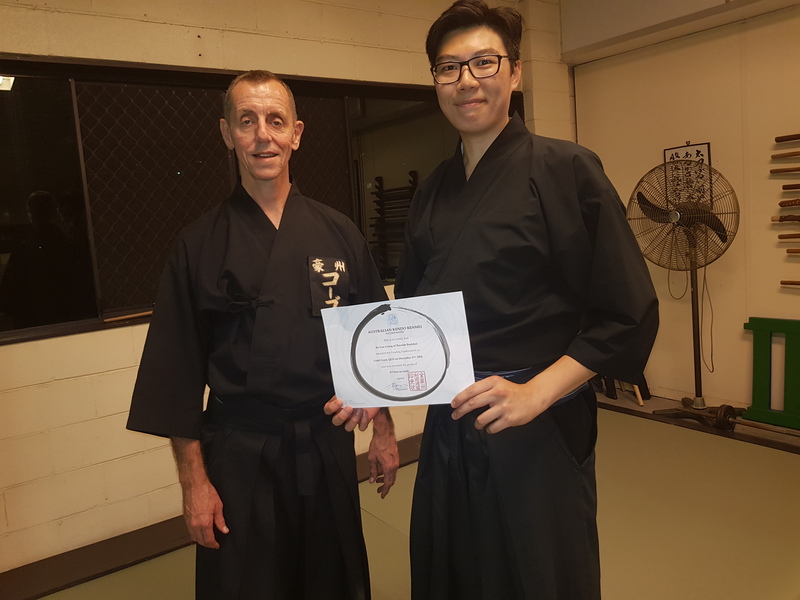 One of the first items on the agenda for 2019 was to present Ka Lun Leung with his iaido 2 Dan certificate from his grading last month. Here’s another photo for the album from last Friday night. Classes are now back in full swing so Happy New Year everyone. There are a couple of events coming up which will impact on our schedule. 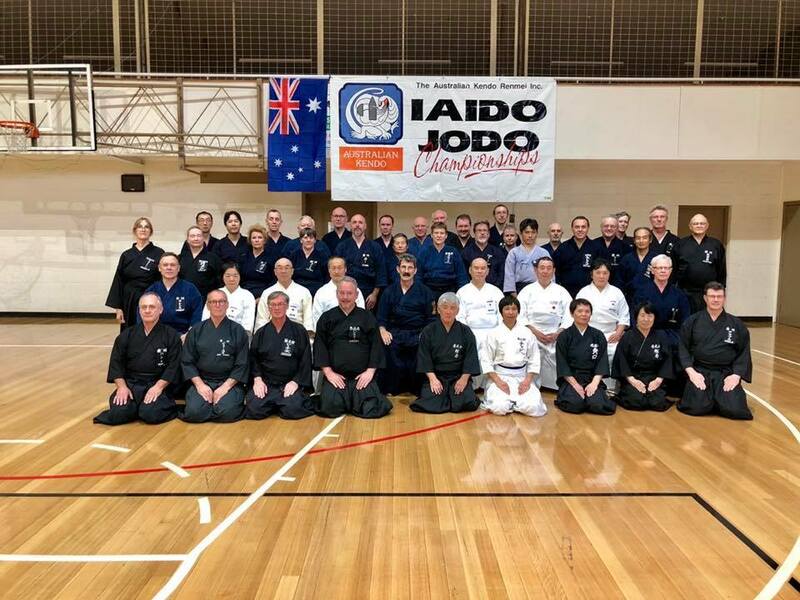 Firstly, the Iaido/Jodo Seminar at the end of the month means that there will be no training on Friday 25 or Sunday 27 January. 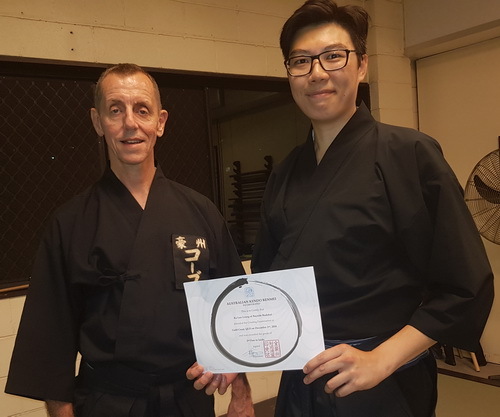 Then on the aikido front, Bill Gleason will be visiting Australia in early February meaning that classes will also be cancelled on Friday 8 and Sunday 10 February.